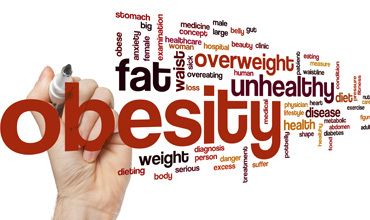 Obesity is linked with the growth of white adipose tissue and associated chronic hyperleptinemia. Leptin is a hormone-like cytokine or adipokine secreted mainly from adipose tissue. High leptin state in obesity rapidly causes selective resistance, focused in the arcuate nucleus of the hypothalamus, and centered round leptin’s role in food intake and satiety. This resistance lowers the body’s reaction to food intake and prevents the anorexigenic effects of leptin. As this resistance builds up, the intake of food increases causing an enhancement in body adiposity and leptin levels. However, some pathways do not build resistance to leptin and continue to exhibit the stimulatory effects, which cause a persistent stimulation of sympathetic nervous system (SNS), particularly in the kidneys and skeletal muscles. The increase in SNS activity in the kidney, along with the endothelial dysfunction and oxidative stress, lead to an increase in blood pressure. Apart from leptin's effects on SNS and renal function, this adipokine influences vascular health and hypertension through several phenomena or mechanisms such as baroreflex sensitivity, release of nitric oxide and cardiac hormones. In this review, an attempt has been made to highlight different aspects of leptin biology, which are relevant to hypertension.
. Arnold, A. C., & Diz, D. I. (2014). Endogenous leptin contributes to baroreflex suppression within the solitary tract nucleus of aged rats. American Journal of Physiology - Heart and Circulatory Physiology, 307(11), H1539-1546.
. Banks, W. A. (2008). The blood-brain barrier as a cause of obesity. Current Pharmaceutical Design, 14(16), 1606-1614.
. Beltowski, J. (2012). Leptin and the regulation of endothelial function in physiological and pathological conditions. Clinical and Experimental Pharmacology and Physiology, 39(2), 168-178.
. da Silva, A. A., Carmo, J. D., Dubinion, J., & Hall, J. E. (2009). The role of the sympathetic nervous system in obesity-related hypertension. Current Hypertension Reports, 11(3), 206-211.
. da Silva, A. A., Do Carmo, J. M., & Hall, J. E. (2013). Role of leptin and CNS melanocortins in obesity hypertension. Current Opinion in Nephrology and Hypertension, 22(2), 135-140.
. Fernandez-Riejos, P., Najib, S., Santos-Alvarez, J., Martin-Romero, C., Perez-Perez, A., Gonzalez-Yanes, C., & Sanchez-Margalet, V. (2010). Role of leptin in the activation of immune cells. Mediators of Inflammation, 2010, 568343.
. Freeman, R. H., Go, O., Reams, G. P., Spear, R., Liu, K., & Villarreal, D. (2014). Obesity hypertension: pathophysiological role of leptin in neuroendocrine dysregulation. American Journal of the Medical Sciences, 347(6), 485-489.
. Frühbeck, G. (2006). Intracellular signalling pathways activated by leptin. Biochemical Journal, 393(Pt 1), 7-20.
. Hall, J. E., do Carmo, J. M., da Silva, A. A., Wang, Z., & Hall, M. E. (2015). Obesity-induced hypertension: interaction of neurohumoral and renal mechanisms. Circulation Research, 116(6), 991-1006.
. Haynes, W. G. (2005). Role of leptin in obesity-related hypertension. Experimental Physiology, 90(5), 683-688.
. Humphreys, M. H. (2011). The brain splits obesity and hypertension. Nature Medicine, 17(7), 782-783.
. Kalil, G. Z., & Haynes, W. G. (2012). Sympathetic nervous system in obesity-related hypertension: mechanisms and clinical implications. Hypertension Research, 35(1), 4-16.
. Korda, M., Kubant, R., Patton, S., & Malinski, T. (2008). Leptin-induced endothelial dysfunction in obesity. American Journal of Physiology - Heart and Circulatory Physiology, 295(4), H1514-1521.
. Lane, M. L., & Vesely, D. L. (2013). Reduction of leptin levels by four cardiac hormones: Implications for hypertension in obesity. Experimental and Therapeutic Medicine, 6(2), 611-615.
. Mantzoros, C. S., Magkos, F., Brinkoetter, M., Sienkiewicz, E., Dardeno, T. A., Kim, S. Y., Hamnvik, O. R., Koniaris, A. (2011). Leptin in human physiology and pathophysiology. American Journal of Physiology Endocrinology and Metabolism, 301(4), E567-584.
. Martin, S. S., Qasim, A., & Reilly, M. P. (2008). Leptin resistance: a possible interface of inflammation and metabolism in obesity-related cardiovascular disease. Journal of the American College of Cardiology, 52(15), 1201-1210.
. Mattu, H. S., & Randeva, H. S. (2013). Role of adipokines in cardiovascular disease. Journal of Endocrinology, 216(1), T17-T36.
. Nakamura, K., Fuster, J. J., & Walsh, K. (2014). Adipokines: A link between obesity and cardiovascular disease. Journal of Cardiology, 63(4), 250-259.
. Olofsson, L. E., Unger, E. K., Cheung, C. C., & Ku, A. W. (2013). Modulation of AgRP-neuronal function by SOCS3 as an intiating event in diet-induced hypothalamic leptin resistance. Proceeding of the National Academy of Sciences, 110(8), E697-E706.
. Purkayastha, S., Zhang, G., & Cai, D. (2011). Uncoupling the mechanisms of obesity and hypertension by targeting hypothalamic IKK-β and NF-κB. Nature Medicine, 17(7), 883-887.
. Pedroso, J. A., Buonfiglio, D. C., Cardinali, L. I., Furigo, I. C., Ramos-Lobo, A. M., Tirapegui, J., Elias, C. F., Donato J. Jr. (2014). Inactivation of SOCS3 in leptin receptor-expressing cells protects mice from diet-induced insulin resistance but does not prevent obesity. Molecular Metabolism, 3(6), 608-618.
. Ray, A., & Cleary, M. P. (2010). Leptin as a potential therapeutic target for breast cancer prevention and treatment. Expert Opinion on Therapeutic Targets, 14(4), 443-451.
. Reed, A. S., Unger, E. K., Olofsson, L. E., Piper, M. L., Myers, M. G., & Xu, A. W. (2010). Functional role of suppressor of cytokine signaling 3 upregulation in hypothalamic leptin resistance and long-term energy homeostasis. Diabetes, 59(4), 894-906.
. Rivest, S. (2002). Does circulating leptin have the ability to cross the blood-brain barrier and target neurons directly? Endocrinology, 143(9), 3211-3213.
. Simonds, S. E., & Cowley, M. A. (2013). Hypertension in obesity: is leptin the culprit? Trends in Neurosciences, 36(2), 121-132.
. Skrapari, I., Tentolouris, N., Perrea, D., Bakoyiannis, C., Papazafiropoulou, A., Katsilambros, N., & Ioanna, S. (2007). Baroreflex sensitivity in obesity: relationship with cardiac autonomic nervous system activity. Obesity (Silver Spring), 15(7), 1685-1693.
. Voulgari, C., Pagoni, S., Vinik, A., & Poirier, P. (2013). Exercise improves cardiac autonomic unction in obesity and diabetes. Metabolism, 62(5), 609-621.
. Wang, J., Wang, H., Luo, W., Guo, C., Wang, J., Chen, Y. E., & Chang, L. (2013). Leptin-induced endothelial dysfunction is mediated by sympathetic nervous system activity. Journal of American Heart Association, 2(5), e000299.
. Yang, R., & Barouch, L. A. (2007). Leptin signaling and obesity: Cardiovascular consequences. Circulation Research, 101(6), 545-559.
. Zhang, X., Zhang, G., Zhang, H., Karin, M., Bai, H., & Cai, D. (2008). Hypothalamic IKKb/Nf-kB and ER stress link overnutrition to energy imbalance and obesity. Cell, 135(1), 61-73.